Marketing your agency in an industry as crowded as recruitment can be a huge challenge. Good recruiters know how to hustle so standing out by working hard will only get you so far. Committing yourself to content marketing will get you a leg up on some of your competitors but it will remain difficult to get ahead if you are using the same tactics as everyone else. You can hire a recruitment marketing agency (like us!) but we recognize that its not in the budget for some. What you want to do is separate yourself from the field. 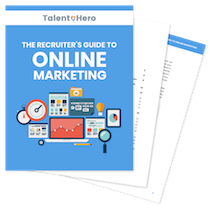 In other words, you need to think about what recruitment marketing tips you can implement that nobody else is already trying in order to stand out in a crowded market. With that in mind, here are three legitimately killer marketing ideas that will help you get noticed in 2019 (plus a bonus one at the end to help round out the marketing plan for recruitment agency). READ THIS: In addition to the extra marketing idea that you can get by clicking the link in the yellow box below, we’ve added a fourth idea at the bottom of the post. Bonus Content: Do you want an extra marketing idea that also is an awesome lead gen tool? Download a free PDF version of this guide and get a killer secret method to collect email addresses. If I have to read one more 300 word blog post called “10 Buzzwords You Should Delete from Your LinkedIn Profile” or “DON’T Overlook The Importance of Soft Skills”, I’m going to puke. Why? Because they are pointless. Your blog post touches on whatever issue you are discussing at such a surface level that it has no value to anyone. Even if you disagree with that assertion, you cannot disagree that there are probably thousands of other blog posts that have already been written on the exact same topic. There is no point in re-hashing the subject. So what can you do instead? You can create what I call next-level content. Next-level content is content that is so good that there is simply no way it will not be widely shared among your target audience. Here are three ways to get this done. 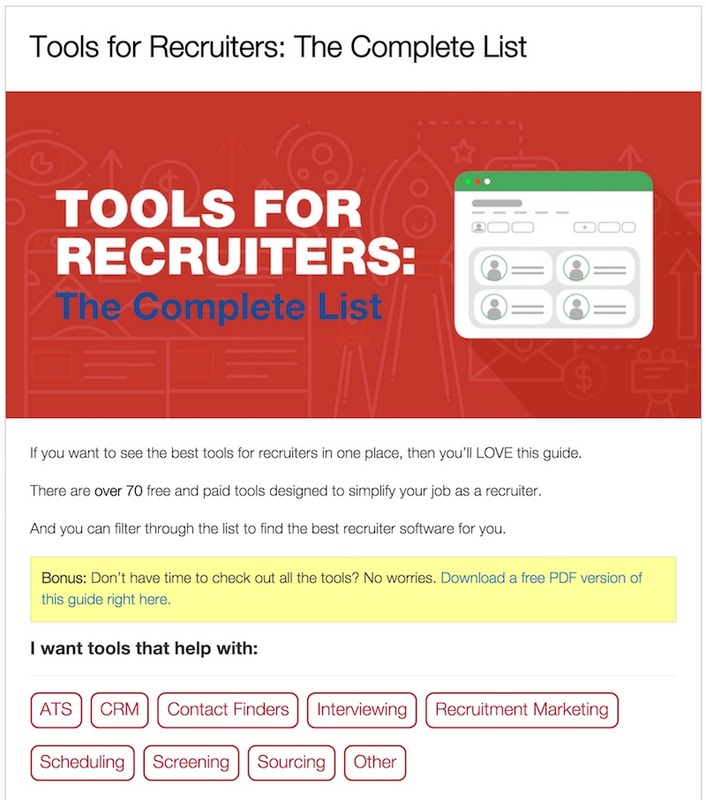 When we published Tools For Recruiters: The Complete List, which took over 30 hours to research, write and edit, we made sure to include a comprehensive overview of every tool that the modern recruiter needs and a custom-coded filter to assist the reader in finding precisely what they’re looking for. This post took a ton of time to compile but you know what? The post drove thousands of new visitors to the blog (some of which we hope will turn into customers down the road) and got us many new links back to the site, which will help improve our search engine rankings. There is no question that this was a productive use of our time. So if you’re not a recruitment marketing agency, how can you do something similar? Brainstorm areas where you think you can add the most value to your clients and candidates and do not be afraid to dig deep into the topic. engage a developer if you need custom functionality that your blog software doesn’t support out-of-the-box. Even if it takes you 40+ hours, if you create an awesome post and promote it effectively (a topic for another time), you will see a return on your investment. Key takeaway – It is much more valuable to write a single awesome article that attracts likes and shares on social media, and links from other sites than 20 posts that nobody ever reads since they offer nothing of value. As I said before, the same old rehashed blog posts are boring and nobody wants to read them. Instead, think about how you can create an interactive tool that both looks great and provides immense value to your reader. The number of possible tools a developer could build for you is only limited by your imagination but if you’ve never thought about doing this before, it can be tough to know where to get started. Let’s look at one existing idea and think about how we can build off of it with something that is feasible for a recruiting company. The NY Times creates amazing interactive maps on a regular basis. 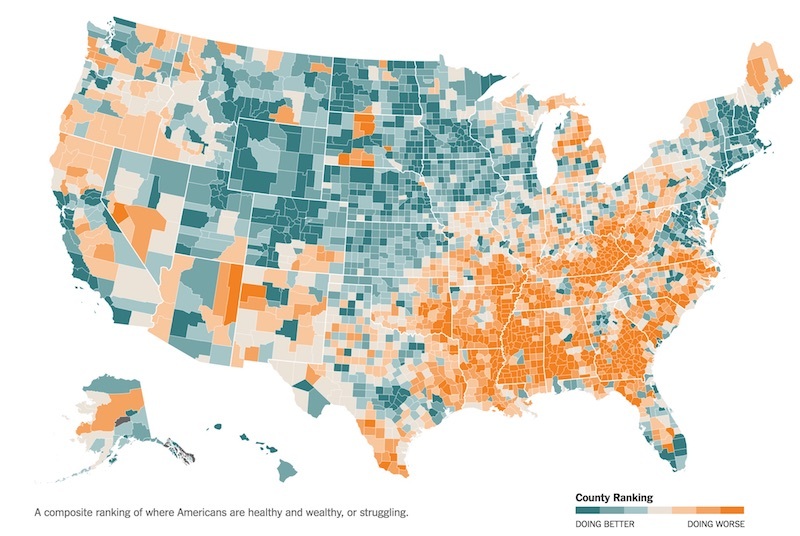 Here is one called “Where Are The Hardest Places to Live in the US?” that visually illustrates the most difficult counties in which to live in the US. Notice how it looks great and provides the reader with tons of interesting information. Hire a polling company to survey employers in your state (or region if you’re not in the US) about topics that are relevant to your target audience. 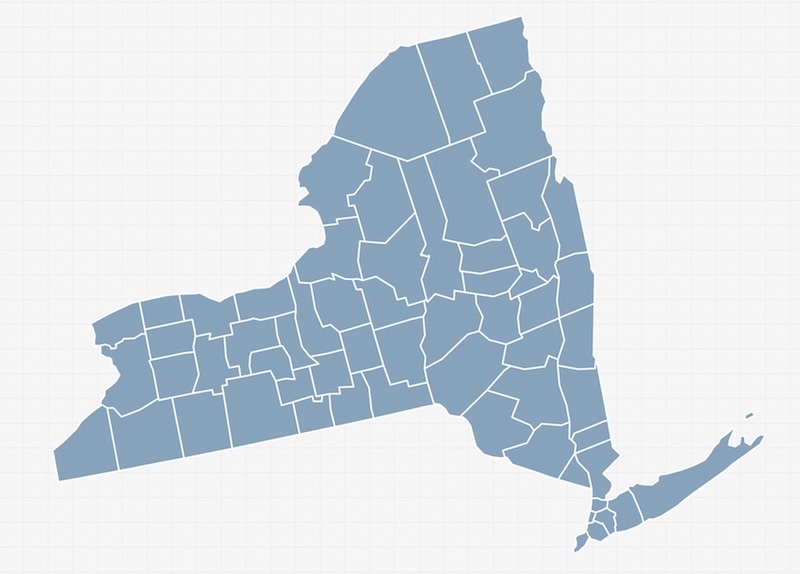 Take the data and turn it into an an interactive county-level map. Simplemaps is a site that already has the basic code for these types of maps completed. Here’s what one from NY state looks like. If you execute this idea properly, you will attract attention from people in your target audience and get coverage from local press for providing an original story, helping build brand awareness and improve search engine rankings (when the press links to your story). Without question, producing this type of content will take time but if you do it right, you can be certain it will be worth it. If you can’t find the imaginative spark you need to get started on any big projects, you can simply use other people’s work as your starting point with what is called the Skyscraper Technique. This technique, which is covered in great detail in The Recruiter’s Guide to Online Marketing, shows you how to find content that other people have created that has been widely shared (on blogs and social media), and then turn that content into something far better and more valuable for your audience. By starting with something you know people liked before, you are more likely to produce something that has a broad appeal. Most ad markets, such as Google AdWords and LinkedIn, are incredibly saturated, which means that most recruitment advertising ideas you can think of are expensive and tough to justify on a small budget. However, there is one area where you can still find very cheap advertising – Reddit. For those who don’t know, Reddit is a site that allows people with similar interest to share and view links on a “site within a site” called a subreddit. For example, people who like “things that make you go AWW!” (think puppies and kittens) tend to frequent the r/aww subreddit. Many of these subreddits have tens of thousands of daily users and will accept ads at reasonable prices. If you want to get learn more, head over to Reddit’s advertising page and walk through their simple advertising setup. When you get to page 2, you’ll want to focus the majority of your attention on the targeting section. While interests and collections are reasonable targeting options, I’d recommend targeting the specific subreddits where you know the people you’re looking for are hanging out. For example, if you’re desperate to find a developer for a hard-to-fill role, you can enter “programming” and your ad will be displayed in the r/programming subreddit and reach over 700,000 readers. This one is definitely going to be the trickiest recruitment marketing tip to pull off but if you can do it successfully, you could have new leads pouring into your business. The best way to attract new customers is to offer them immense value upfront. A company who does this very well is Hubpsot. 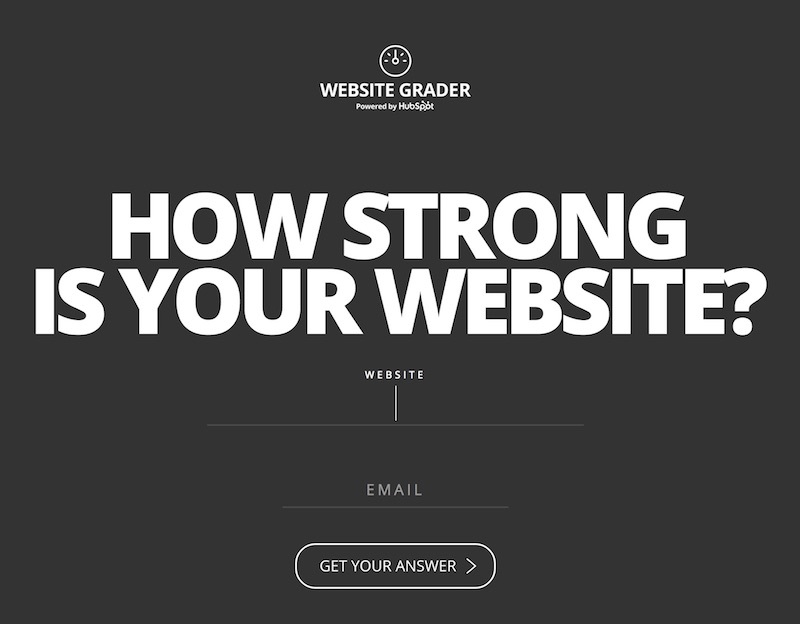 They have a tool called Website Grader that lets you enter your website URL to see how well it scores on a number of metrics such as speed, SEO, mobile-readiness and security. Every time someone uses the tool, Hubspot gets two huge benefits. 1. You provide them with your e-mail address, allowing them to begin an e-mail campaign to win your business. 2. They have the opportunity to demonstrate value to you. By offering value early in the sales cycle, they dramatically increase the odds that you will choose them for your sales and marketing efforts down the road. A recruiting firm that doesn’t operate in the online space like Hubspot may have a more difficult time creating an online tool. However, just because it is hard doesn’t mean you shouldn’t try. One idea that comes to mind would be a resume grader that allows candidates to upload their resumes and receive instant feedback based on an algorithm that you create that reviews the resume and recognizes common problems. In this case, there would be multiple benefits. You build a database of potential candidates and the candidate gets instant feedback on their resume. Furthermore, potential clients will see a tool like this and understand how dedicated you are to sourcing the best candidates, improving their overall view of your business. LiveCareer, a resume building site, offers this type of tool so clearly it is something that can done. Another idea would to create a similar tool but for analyzing job postings. A quick Google search shows no results for this type of tool so if you want to commit some resources, you could be first to market and you would have no trouble at all promoting yourself widely throughout the recruiting industry. One of the many knocks on recruiters is that they don’t have the specialized knowledge that is required to identify the top talent in their industry. For example, a tech recruiter who is not a programmer could be accused of not being able to separate the all-star developers from the rest of the pack. What if I told you there was a way to rebut this argument before you even spoke to your potential client and market your business at the same time? Does it sound too good to be true? It’s not! Let’s say you’re an automotive recruiter. Your clients are immersed in the world of cars and trucks on a daily basis and likely read publications like Automotive News and Auto123. So you might think that they know everything there is need to know about the latest industry gossip. But you would be wrong. Why? Because in 2019, every industry is moving so quickly that it’s impossible to stay up to date on the latest news, even when you live and breathe your job. And this gives you your dead simple marketing and credibility-building opportunity. 1. 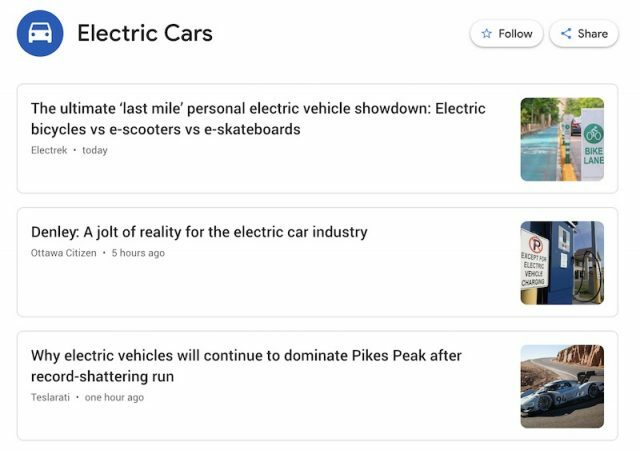 Create a set of Google News Alerts about relevant topics in your industry. 2. At the end of each week, go through your alerts and pick the most interesting article of the week. 3. 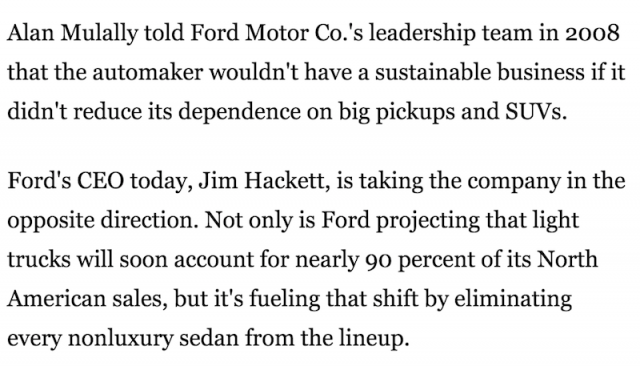 Pull out an interesting quote from the article. 4. 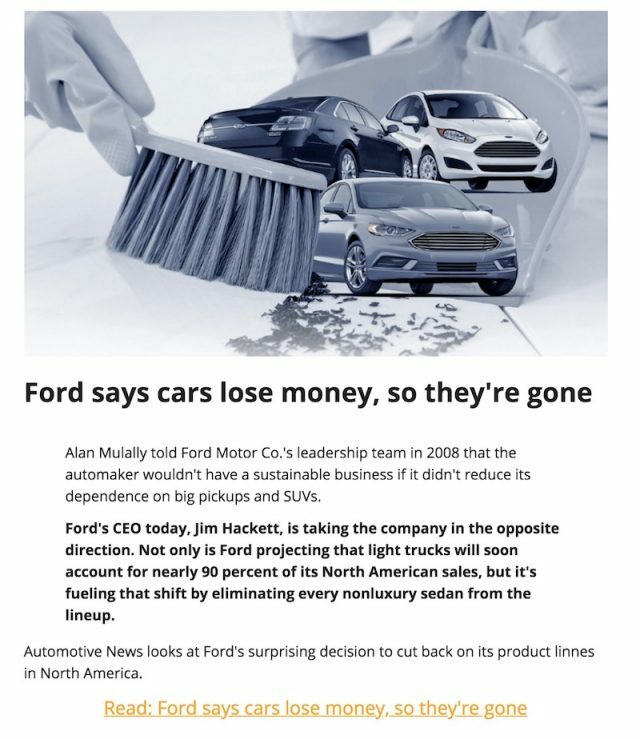 Take the image from the article, the headline, the quote and a link to the article and put it all together in a newsletter and a separate news page on your website. 5. Send it out on a weekly basis to your leads and existing clients. See what we did here? With just a small amount of effort each week, you’ve managed to create an ongoing marketing campaign to your marketing plan that gets eyeballs on your brand each week while simultaneously building your credibility as an industry expert. It seems almost too good to be true but if you do it right, there’s no reason you can’t dramatically increase your authority while marketing your business. Do you have any ideas on great new content idea that you want to talk about in more depth? Add your comment below and let’s hash it out.